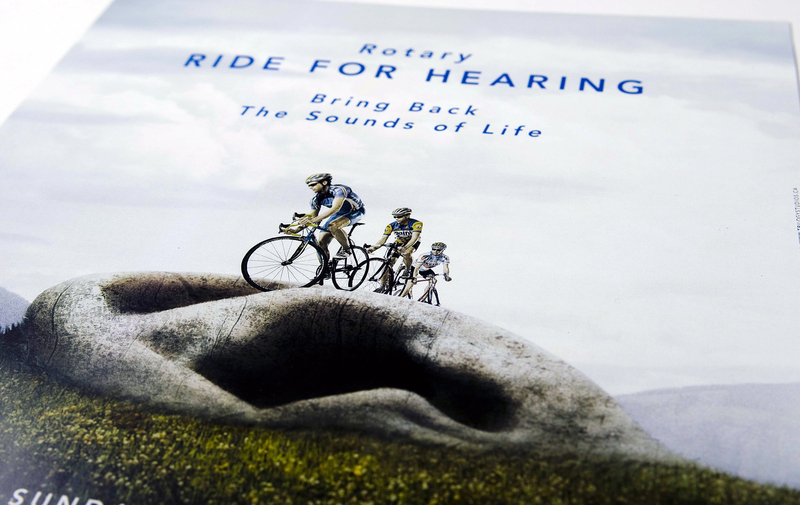 Each year the Vancouver Rotary Club holds a 120km bike-a-thon in which cyclists ride from Vancouver to Harrison Hot Springs. Over the years the riders have raised over $1 million which has gone towards research for the hearing impaired. The image for the 2009 poster highlighted the link between the riders efforts and the beneficiary of their donations.